Señor Septic Construction & Pumping offers quality septic tank system repairs throughout Ontario, San Bernardino, Highland, Rialto, Fontana, Bloomington, Jurupa Valley, and nearby areas at fair and competitive prices. As a fully licensed and insured C-42 septic system contractor with more than 23 years of field experience, we’re qualified to accurately identify what’s causing your septic system problems and provide reliable, cost-effective recommendations to fix them. Having worked in the local area for years, we have thousands of satisfied customers and an excellent reputation for providing superior service. We offer a wide range of cost-effective solutions to resolve malfunctioning septic systems. Common signs that a septic system is in need of repair are a slow flushing toilet, an overflowing septic tank, or a wet or foul smelling area in the drainfield. These problems could be related to a blocked or broken pipe, intruding tree roots, earthquake damage, a deteriorating concrete tank, or a saturated drain field. To determine what repairs are needed to fix your septic system, one of our experienced technicians will need to expose and inspect your septic system. (There is no charge to inspect exposed/open septic tanks; but if the tank is underground, we will need to charge a labor fee to dig it up.) Once we identify the underlying problem, we will review your options and provide a detailed quote. 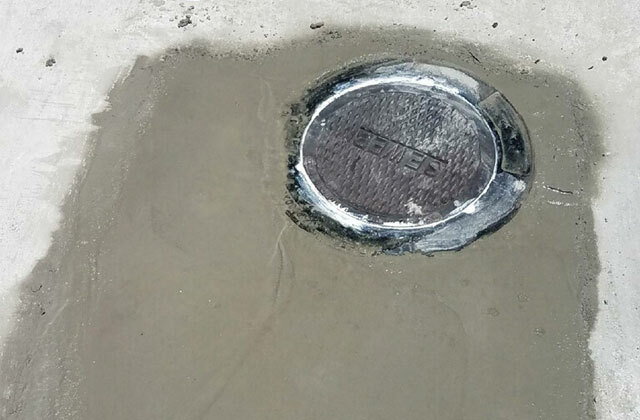 The most common septic system repairs we perform are baffle wall rebuilds, leach line replacement, distribution box (D-box) replacement, pipe repair/replacement, and lid and/or riser replacement. We can also install additional drain fields, replace the septic tank, or install a new cesspool, if needed. We are familiar with all municipal codes for the San Bernardino and Riverside County areas, and perform every septic system repair within those guidelines. Call Señor Septic Construction & Pumping today for expert septic system repairs at a fair price. We’re available Monday through Friday, from 7 am to 5 pm, and Saturdays by appointment. We offer free on-site estimates for septic system repair jobs in Fontana, Rialto, Jurupa Valley, Ontario, and Highland as well as nearby areas throughout Riverside, San Bernardino, and Los Angeles County. Hector and one of his guys just came out to quote us on a job and I must say... he is running a great company. He was polite, professional and honest. He gave us several options that would fix our septic problems and allowed us to decide what we were most comfortable with. He and his team will be back in a couple of days to complete the job and we cannot wait! Thanks again Hector and team for putting our minds at ease! We'll see you guys in about a week!